we went into and I would recommend checking out if you're in the area! 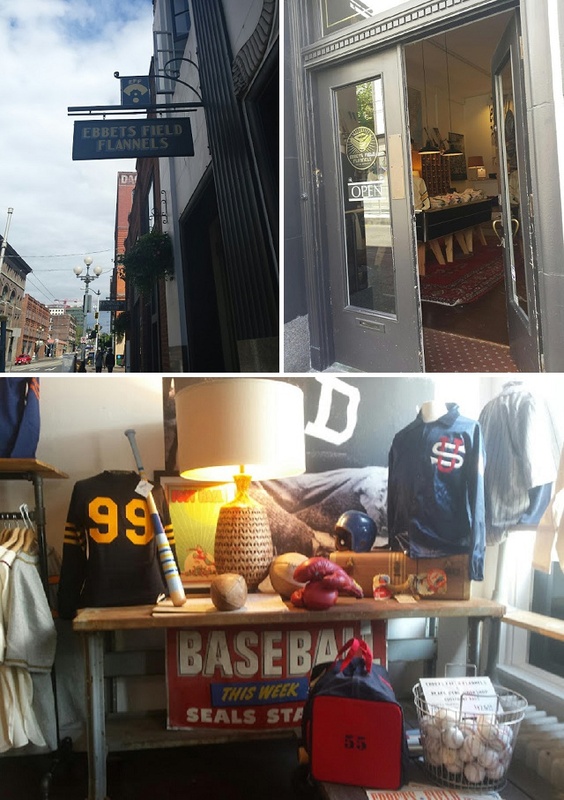 Ebbets Field Flannels is the source for 100% authentically sourced place for historical fabrics, throwback jerseys, vintage flannels, baseball caps, t-shirts, etc. 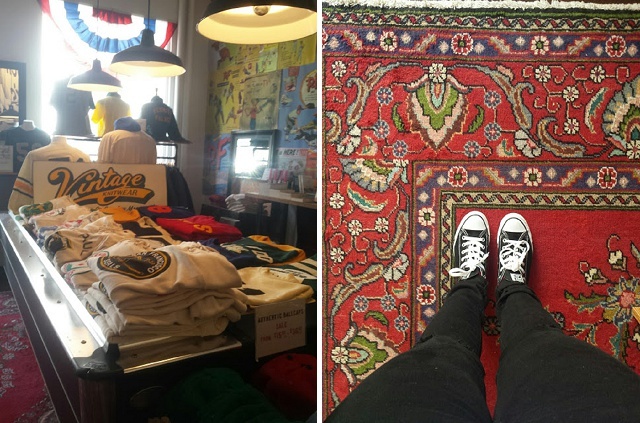 and is the spot if you are looking for timeless and classic pieces (especially if you're into sports). Even browsing around in there is fun as you get to see all the cool little pieces of memorabilia. 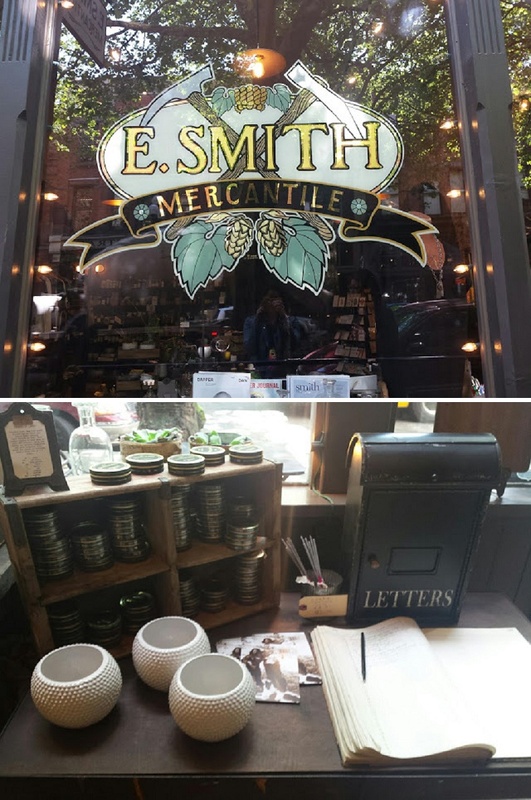 Another cool spot to check out is E. Smith Mercantile which definitely has the small town shop/apothecary feel to it. Items in the front are specially curated with a lot of local goods to fit a variety of customers and the back of the shop even has a mini bar! I will definitely need to try a couple of drinks from there (and food dishes of course!) next time since it just seems so quaint. 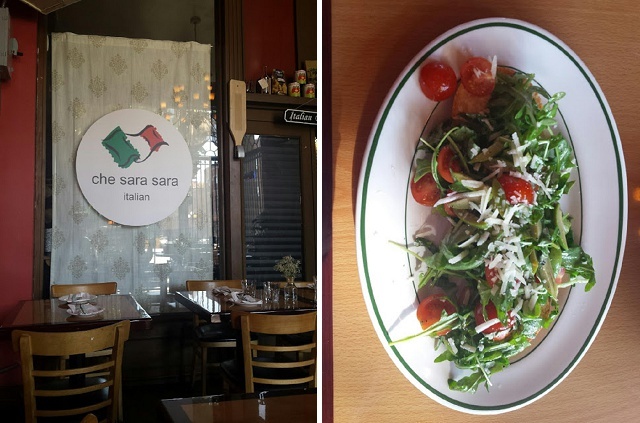 And then behold, the star of this post and awesome find is the quaintest Italian Restaurant, Che Sara Sara. My friend and I were going to eat in Capitol Hill but when we walked past this place we thought we'd try it. The lady (owner I'm assuming) was so hospitable and had this 'mom-ness' to her. She recommended us to try the meal Family Style and asked how much we wanted to spend. We said some where around $25 each and she picked the dishes for us just like that. 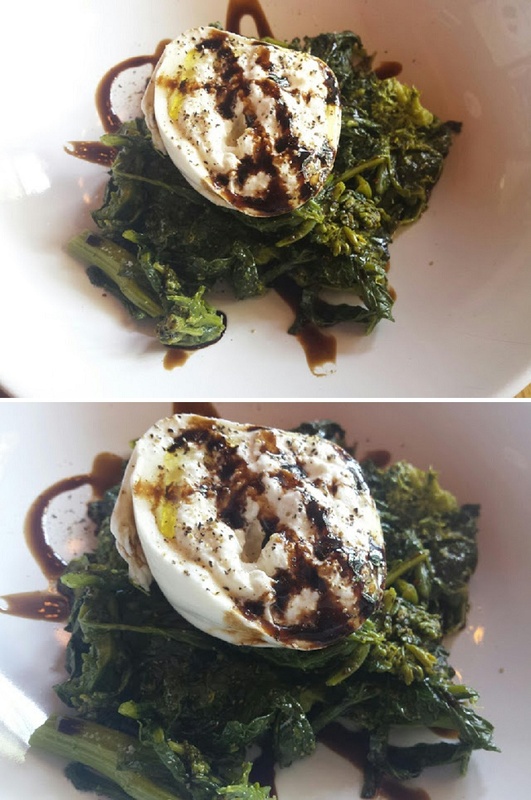 2) Next was this extra soft oozy type of fresh mozzarella over a bed of green topped with evoo and balsamic vinegar. The mozzarella was so creamy it actually paired really well on top of the crispy read from the salad dish. 3) Not pictured - Some red wine reduced sauce with chicken over arugula, tomato, olives. This was the only disappointment in the meal. Probably why I deleted the picture so fast without realizing it. 4) The best part of the meal was this Troccoli with seasonal mushrooms a ton of garlic. I loved this one since they even used shitake mushrooms! 5) Dessert, dessert, dessert. 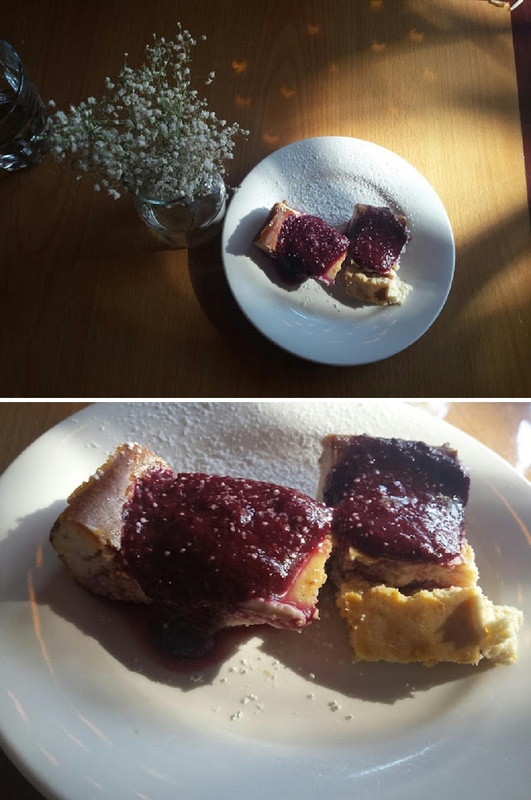 This was a nice raspberry pastry with ricotta cheese inside. Not to sweet an not too tart. 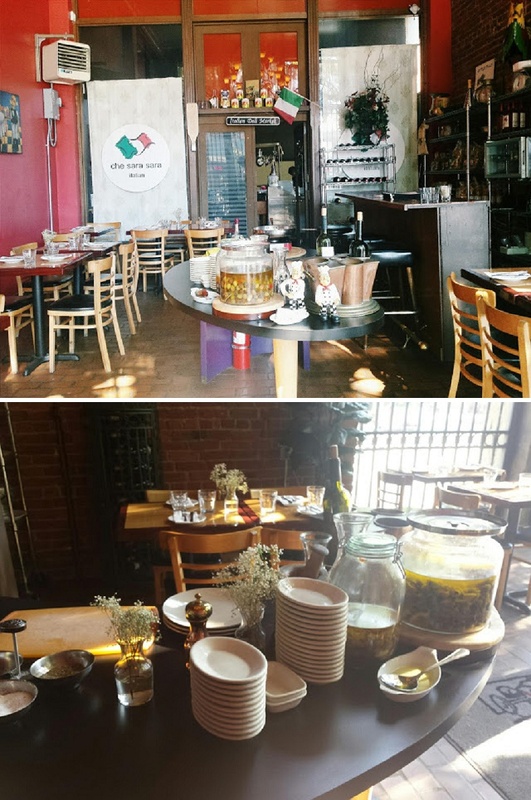 I would highly recommend this place to anyone looking for a good Italian restaurant. They have octopus on the menu and I would definitely go back just to try that! 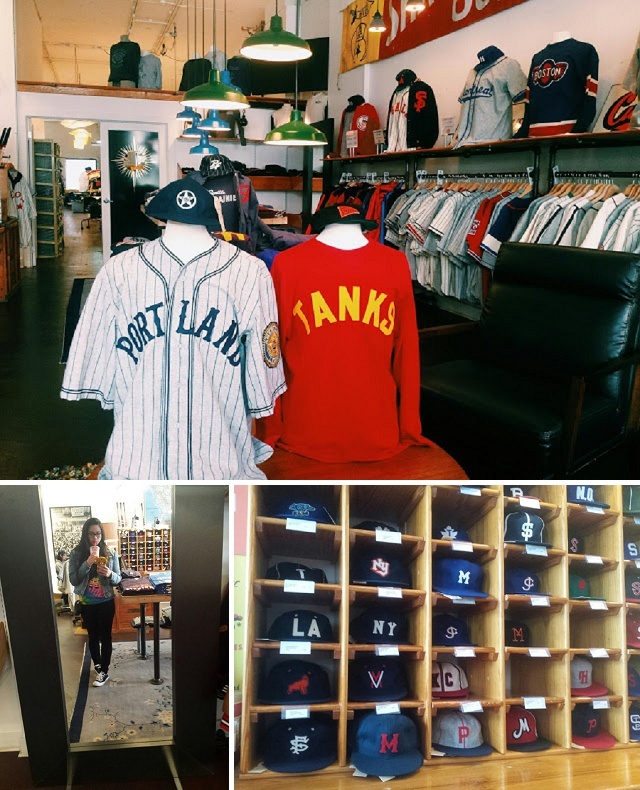 Pioneer Square has so many stores and shops with a bunch of history. Whether you live in the Seattle area or are visiting from out of town, take some time to walk around and visit this area. This place is exceptionally gorgeous during the Summer, with nice shading and the breeze from the sound. Plus, it is close by to the International District and Downtown!